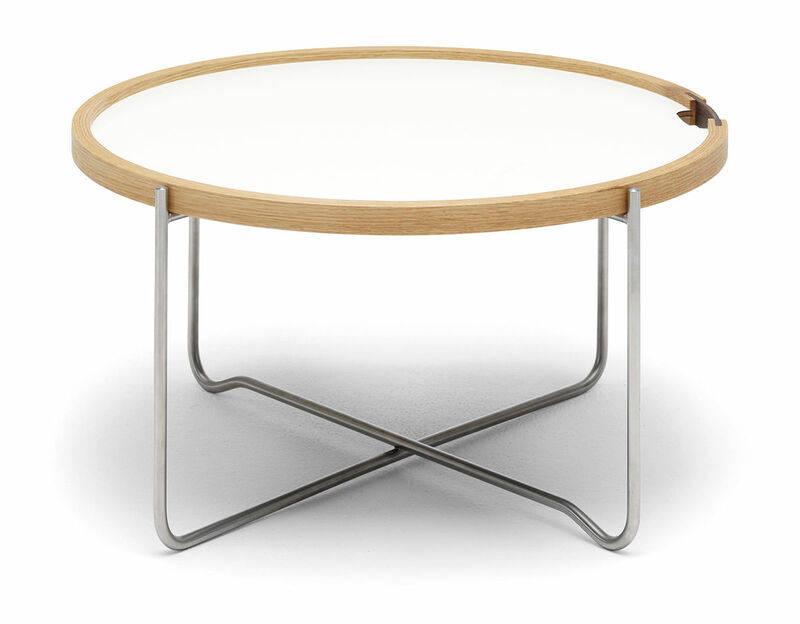 Carl Hansen & Søn has reintroduced Hans J. Wegner's Tray table, which first saw the light of day in 1970 but has since only been produced for a limited number of years. 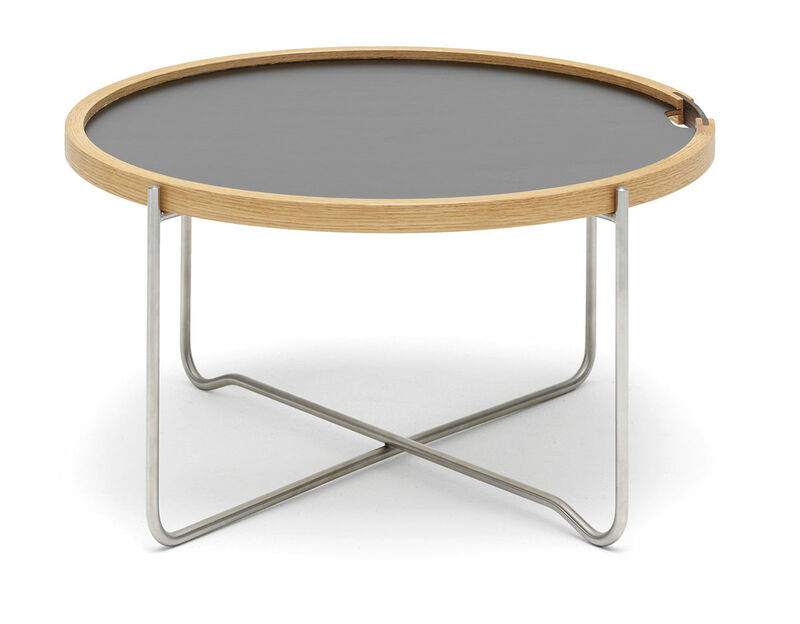 The Tray table is an elegant and flexible piece consisting of two parts - a round tray and a collapsible base - and can thus be used both as a coffee table and as a tray. 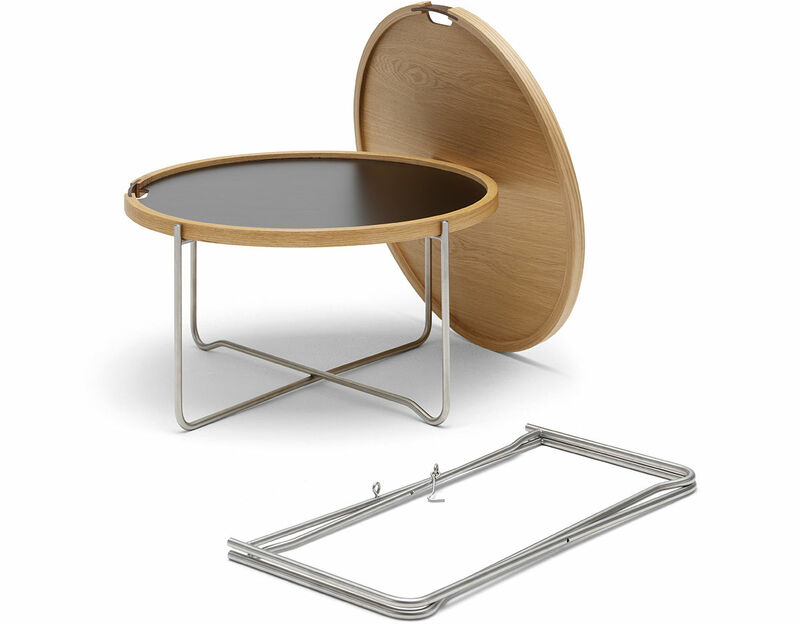 To stress the multifunctional character of the design, the tray is designed with a refined, integrated handle, adding an ornamental detail to the design - a well-known Wegner signature. 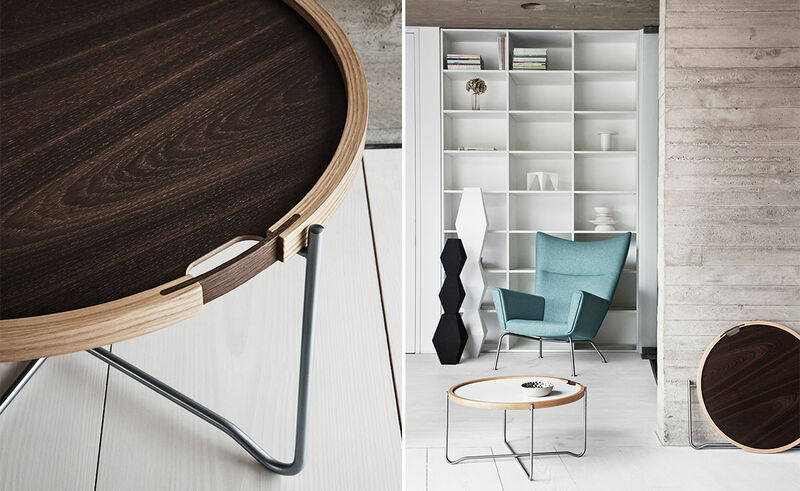 The reversible coffee table is available with two different tray variants: one features white and black laminate surfaces, the other - veneer surfaces in light and smoked oak. 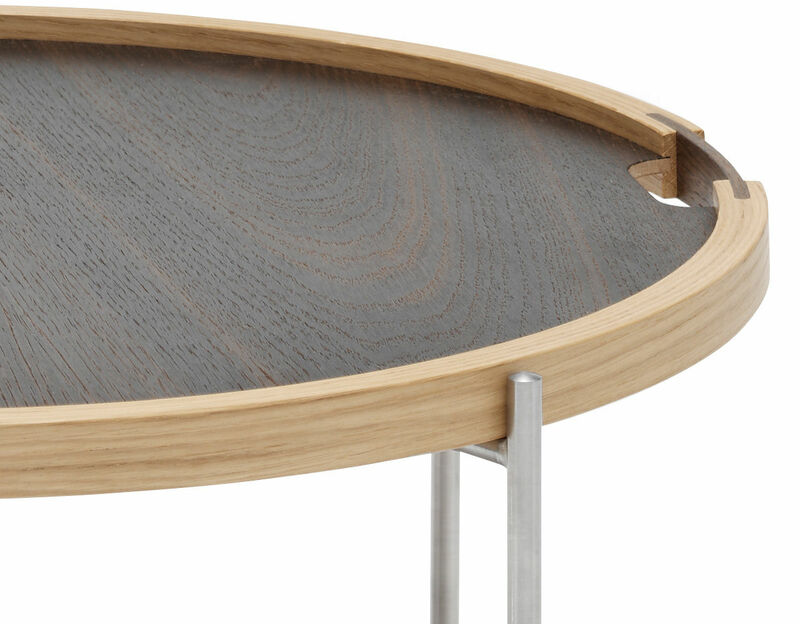 In both variants, the tray rim is made of light oak and the handle of smoked oak. The base is stainless steel. 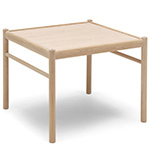 $1,050.00 + free shipping in the continental U.S.
Hans Jørgensen Wegner’s (1914 - 2007) high-quality and thoughtful work contributed to the international popularity of mid-century Danish design. 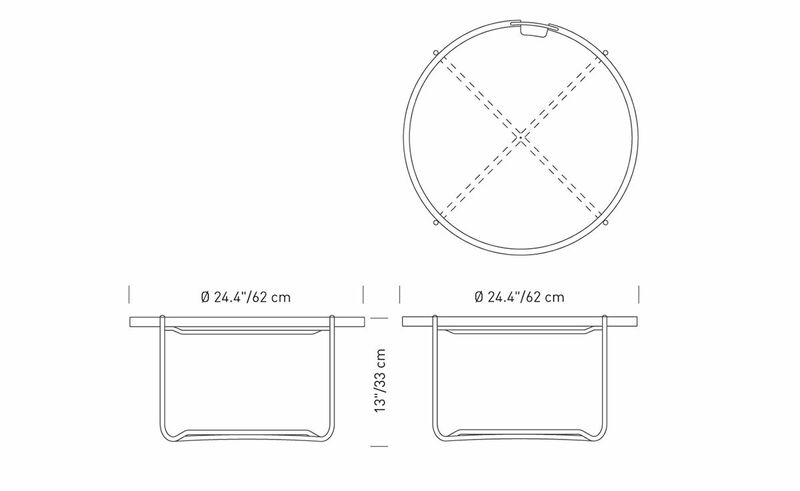 His style is often described as Organic Functionality, a modernist school with emphasis on functionality, arising primarily in Scandinavian countries. 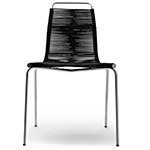 In his lifetime, he designed over 500 different chairs, over 100 of which were put into mass production, with many recognizable icons among them. Born to cobbler Peter M. Wegner, he worked as a child apprentice to Master cabinetmaker H. F. Stahlberg. 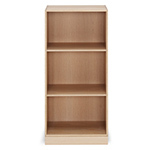 With an affinity for wood, he attended the Danish School of Arts and Crafts and the Architectural Academy in Copenhagen. In 1936, he began studies at what is now The Danish Design School, with O. Mølgaard Nielsen as teacher. 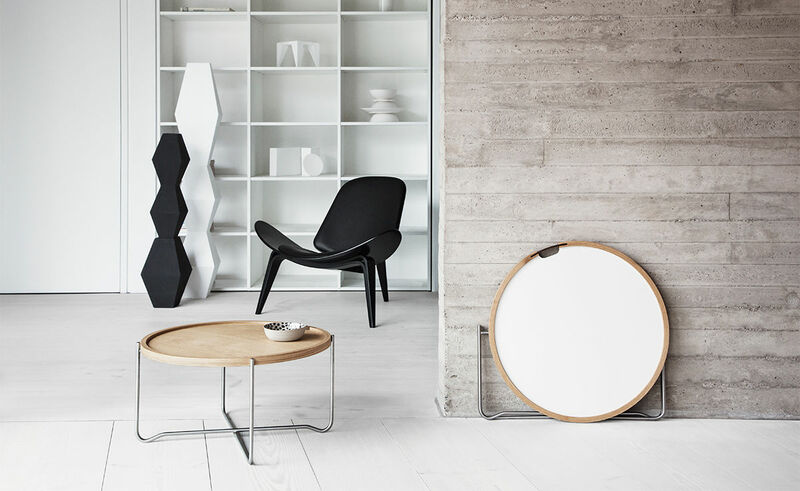 A workshop in Odense, Denmark in 1908, was the birthplace of the Carl Hansen company. 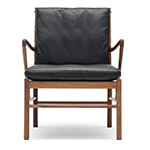 With a fast reputation for quality work, Carl Hansen confidently took on large projects like dining room sets and bedroom suites. 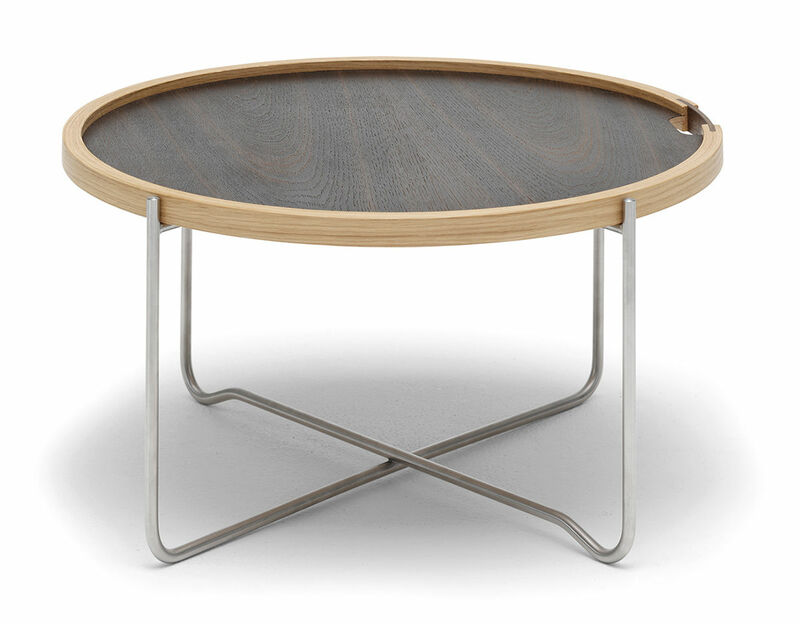 However, Hansen eventually learned to capitalize on scaled-back versions of his popular sellers, realizing that their strongest asset was its hand craftsmanship and rationality. 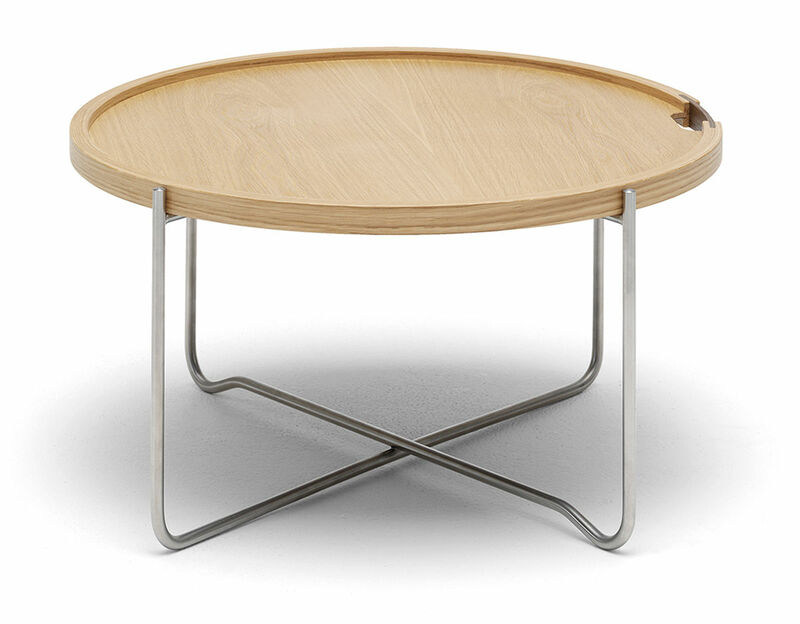 Carl Hansen invited Hans Wegner to create designs in 1949, launching a mutually beneficial relationship bringing success to the company and exposure to the young Wegner. 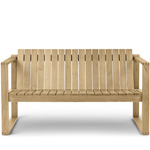 Wegner was still relatively unknown, but soon gained wide acclaim that continues to today.